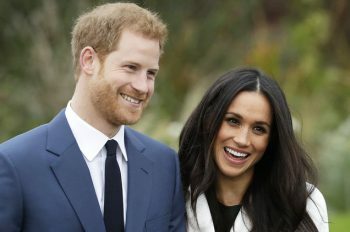 Soon after their engagement was announced, the couple stepped out at Kensington Palace and posed for photographers. Meghan wore a white coat over a knee-length dress, while her fiancé wore a navy suit. This will be the first marriage for Harry, who is currently fifth in line to the British throne, and the second for Meghan, who was married to TV producer Trevor Engelson from 2011 to 2013.